NYFW Day 5 was no exception of dressing in my habitual classic dresses. 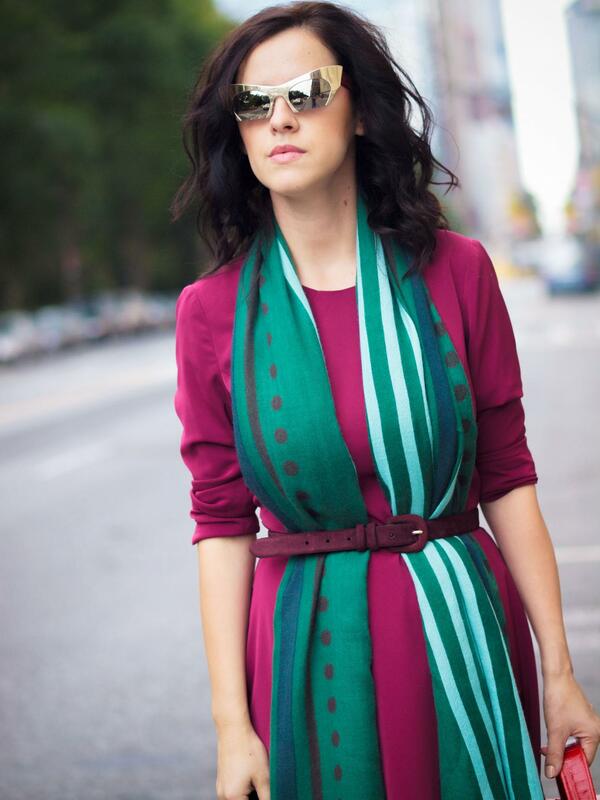 This time a plain, rich burgundy dress paired with a printed cashmere scarf. 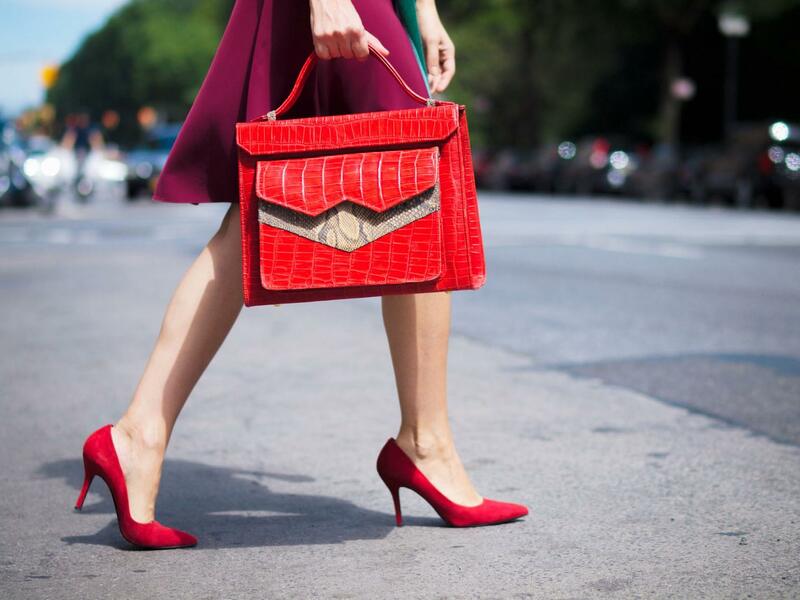 The cherry on top was his python red bag which completes perfectly the autumnal chromatic colors. This is what I wore to the Libertine and Francesca Liberatore shows. This is an absolutely beautiful outfit! I love the colors. That scarf is superb and sunnies are the most unique ones ever! Another stunning colour combination! Love the idea of wearing a scarf as a vest.